I'm VERY timid with coffee, so I tend to go lighter with the bean. If you like a more intense coffee roast then you can increase the brewed coffee to 3 to 4 tablespoons, or add in 1 to 2 tablespoons of instant coffee. Keep in mind that the total time listed includes chilling time. Preparing the ice cream takes just 10 minutes! Place the coconut milk, maple syrup, and coffee in a small saucepan, and heat while stirring until hot, but not quite boiling. Remove it from the heat, stir in the vanilla and salt. Place the chocolate in a bowl, and pour on enough of the hot coconut milk mixture to just cover the chocolate. Allow the chocolate to sit for a couple of minutes, then whisk virorously, until the chocolate is melted and smooth. Add the chocolate to the rest of the coconut milk mixture and stir until well-combined. Chill in the refrigerator for 2 to 3 hours, or overnight. Churn in your pre-chilled ice cream maker, according to the manufacturer's directions. 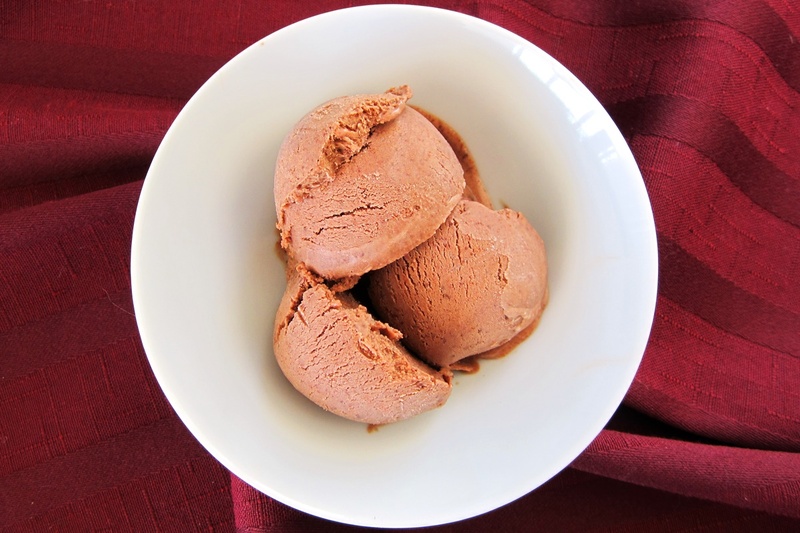 Pack the ice cream into a chilled dish with tight fitting lid and place it in the freezer to firm up. This recipe is Vegan, Vegetarian, Dairy free, Egg free, Gluten free, Peanut free, Soy free, Wheat free, and Refined Sugar free.